Just had to share this one! 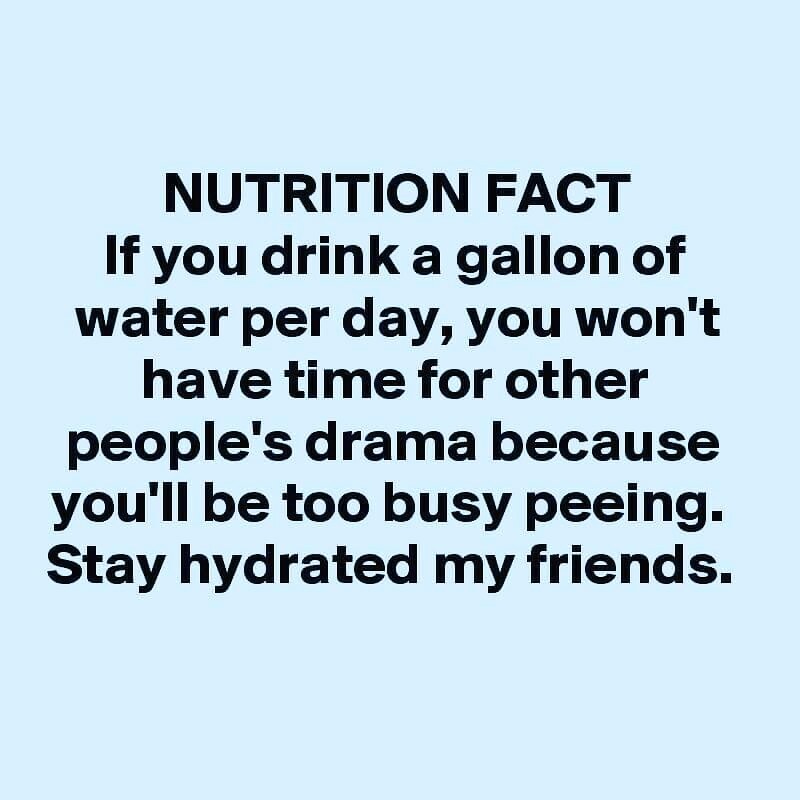 😂😂😂 Not sure if a gallon is necessary, but be sure you are getting at least 64 ounces of water a day, and ideally you should be drinking half of your body weight in ounces. For example, if you weigh 200 lb, you should be drinking 100 oz of water per day. This is a great simple Habit of Health that anyone can do!